You know how frustrating it is to have a head scarf or head band keep slipping off your head? Problem solved! 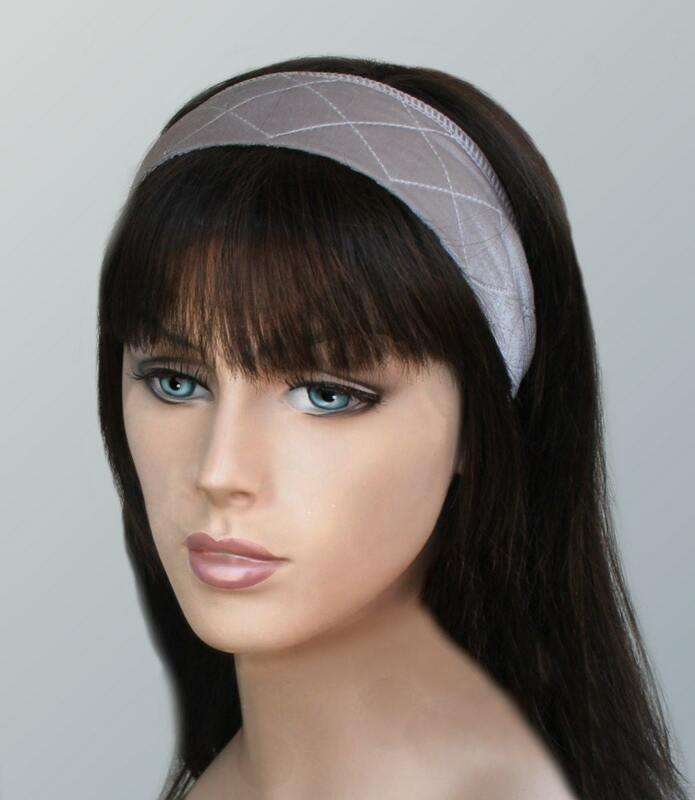 With or without hair, these soft and secure non-slip head bands will prevent slipping of any scarf, wide head band, hat or wig. Note: This is available in BLACK ONLY. Shown in beige so you can see the detail. 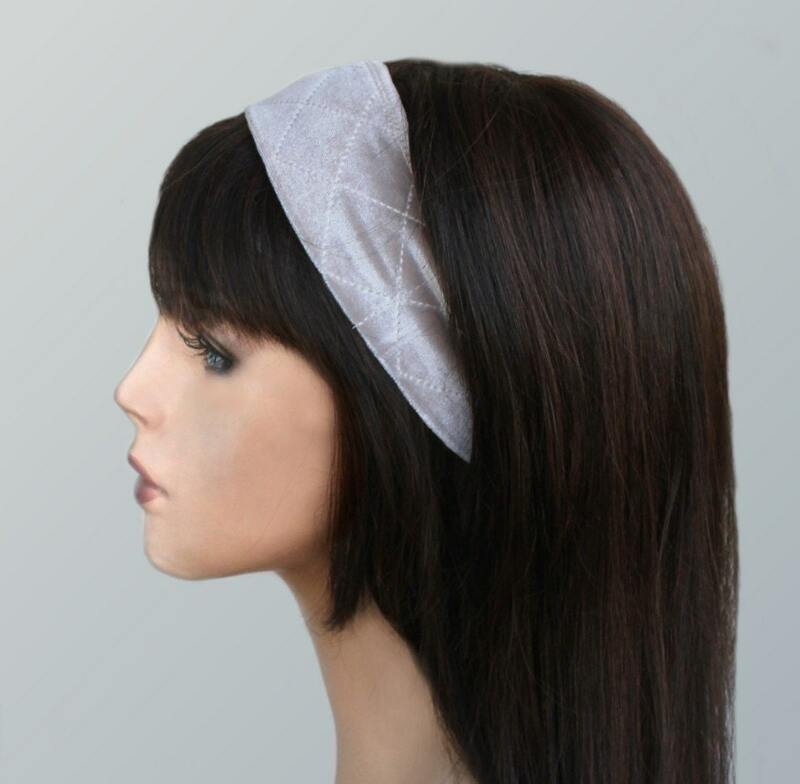 The NonSlip headband will hold your turban, scarf, wig, hat or other head band to make sure it stays where you put it, all day! 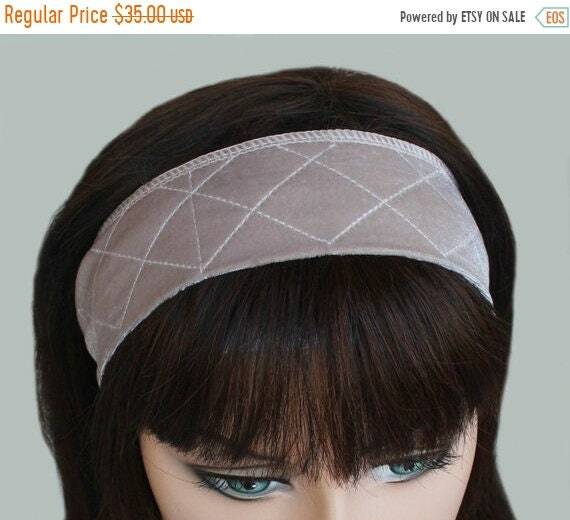 It is lightweight, comfortable and adjustable so it won't ever slip off your head like other headbands, even during a workout. Wear it with the fold towards the front as shown, and it will grip your hair on one side, grip the scarf or head wear on the other, and keep everything secure. Please select color from the drop-down menu to save $5 on a 2-pack.